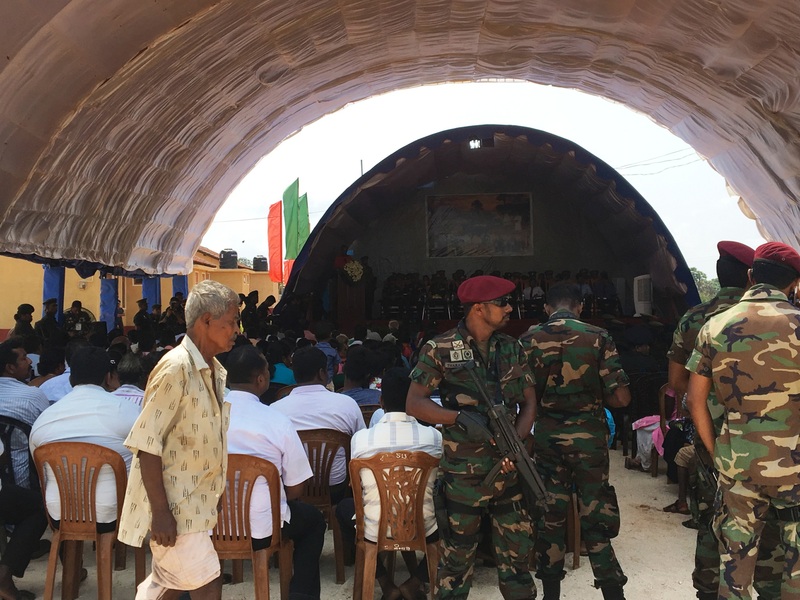 Sri Lanka's army commander warned Tamils that the army was able to take back what it 'granted' to the Tamil people, whilst addressing an event launching the second phase of a housing scheme in Nallinakkapuram. "Like we grant you these houses and lands, we able to take it back again," Lt Gen Mahesh Senanayake told the crowd via a hesitant Tamil interpreter, prompting her to relay the ominous message. "I am not speaking to you as a candidate or seeking votes." "I have informed your District Secretariat of all my expectations during discussions with him." "Everything is taking place with national security in mind." "I ask one thing of the parents who are gathered here today. What I ask of you as an army commander is that for your children, your siblings, the upcoming generation, there should not be another war like this. I ask you to tell your children not to launch another war." "Most of the people who participated in the war have gone abroad, to other regions. As it is the innocent civilians, who had nothing to do with the war, who are here suffering, I ask you, in the capacity of army commander, not to head towards any circumstance that would give rise to any type of war." "Like we grant you these houses and lands, we are able to take them back again." "What I ask of you please is not to bring upon yourselves such a situation of war."